One of the best aspects of yoga is that it doesn’t require a lot of equipment. Put on some activewear, grab a yoga mat, and you’re ready to go. 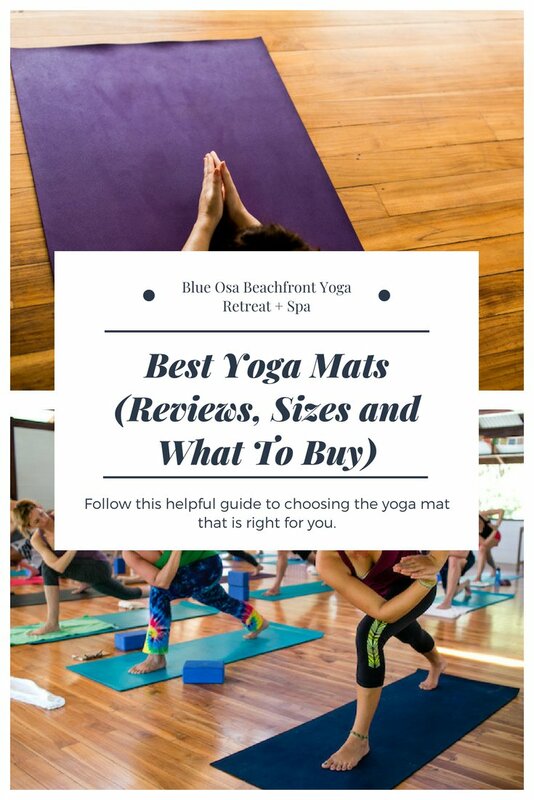 When it comes to purchasing a yoga mat, however, it is important to understand that they aren’t a one-size-fits-all product. Yoga mats come in a wide variety of lengths, thicknesses, materials, colors and styles. Your body type, style of yoga, and preferred yoga location will all determine which mat you should be using. Choosing the wrong mat can not only be uncomfortable, it can also put you at risk for injury. Follow this helpful guide to choosing the yoga mat that is right for you. It not only covers what you should be considering when purchasing a mat, but also lists some of the top mats currently available. The first thing to consider is what size mat is right for you. Yoga mats come in several different lengths and widths. The standard size is 68 inches in length by 24 inches in width. Taller individuals may wish to go with a longer mat so that their hands and feet don’t extend beyond the mat during yoga poses. You will find mats that go all the way up to 84 inches in length. Similarly, look for a wider mat if you have a rounder body shape. Yoga mat thicknesses generally range from 1/8” to 1/4”. Those with slimmer physiques or are prone to joint soreness should opt for a thicker mat or one with additional cushion support. Highly skilled yoga teachers and students tend to go for a thinner mat since they find it easier to hold more complicated poses and they transport easy. If you are just starting out with yoga, select a thicker mat that will provide comfort until you become familiar with poses and techniques. 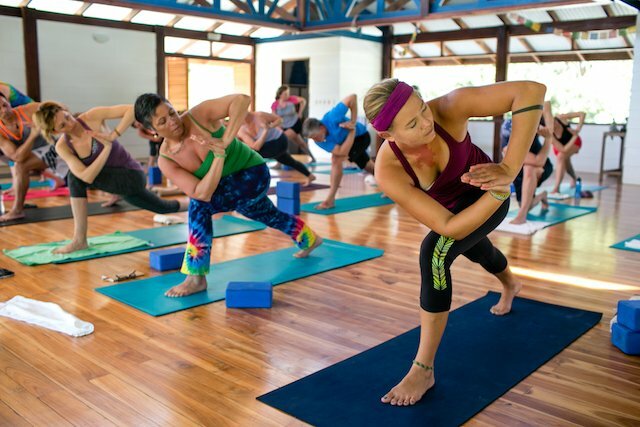 PVC or vinyl is the standard material used for most yoga mats, however, you may wish to look into more eco-friendly options. Eco- friendly materials include recycled rubber or organic cotton. While these materials may be better for the environment, they may not hold up as well as vinyl mats and should be avoided if you are allergic to latex. Vinyl mats also seem to offer more “give” as they have a bit of a spongier feel. If you plan on doing a lot of fast-paced Hot Yoga classes, look for a mat that will be resistant to your sweat. You don’t want to be practicing yoga on a damp mat which can decrease the life of the mat. Also look for a mat that is easy to clean between your yoga sessions. Because yoga is all about staying calm and focused, you want to select a mat that has a texture that is comfortable to you. You will find that some yoga mats are really smooth while others are a bit on the rough side. PVC mats tend to be both smoother and have a bit more tack or grip. To avoid injury and maintain proper alignment during poses, search for a mat that will both grip the floor and provide grip for your hands. You don’t want to be sliding around the floor or lose your balance due to lack of grip. High-grip mats are especially important when practicing Hot Yoga or if you find you have oily hands. Note that mats with more grip may be more challenging to keep clean. When it comes to price, yoga mats can range from the cost of a cup of coffee all the way up to a designer handbag. Beginners may want to start out with a basic 1/8” PVC mat which is generally the most affordable. Eco-friendly mats or those designed by a well-known name brand will tend to cost the most. Mats with designs, logos, and specialized treatments or textures will also cost you more. Although purchasing a cheaper mat may seem to be a good idea at first, keep in mind that they generally don’t last that long. This is not only bad for your wallet, but also for the environment. Manduka yoga mats are some of the most trusted out there. This latex-free, PVC mat comes in a variety of colors and comes with a lifetime warranty. It doesn’t hold odors and provides durable support. 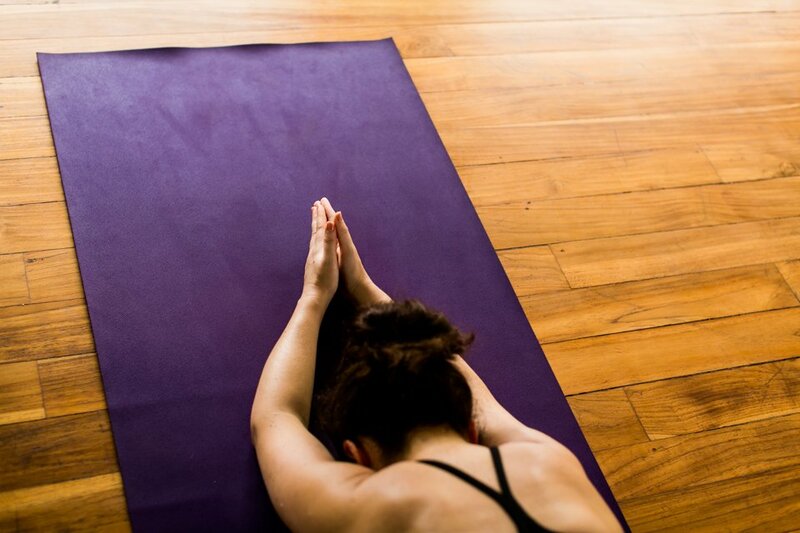 The Harmony Mat is Jade Yoga’s standard mat. A leader in yoga mats, Jade Yoga offers the Harmony which is designed with eco-friendly open cell natural rubber. The mat provides optimum grip for long poses and vigorous practice. The mats are made in the U.S. and the company plants a tree for every mat sold (over one and a half million trees planted to date). The perfect lightweight travel mat, the YogiOnTheGo is just 1mm thick and weighs less than 2 lbs. People who love Hot Yoga say it’s perfect, as it tends to only offer more grip when it becomes wet. It has an odor-free waterproof layer and can easily be cleaned in the washer and can be thrown in the dryer. It is foldable and fits into nearly any travel yoga bag. These Bali-designed mats come in beautiful bold artistic prints. This reversible mat provides a comfortable cushion, stability, and grip for both beginners and pros. It’s lightweight, foldable, machine-washable, and comes with a handy carry strap. The eco-friendly design is made from natural tree rubber that is biodegradable and is free from silicon, phthalates, and toxic glues. Have you used any of these mats before? Let us know your favorite mat in the comments below!